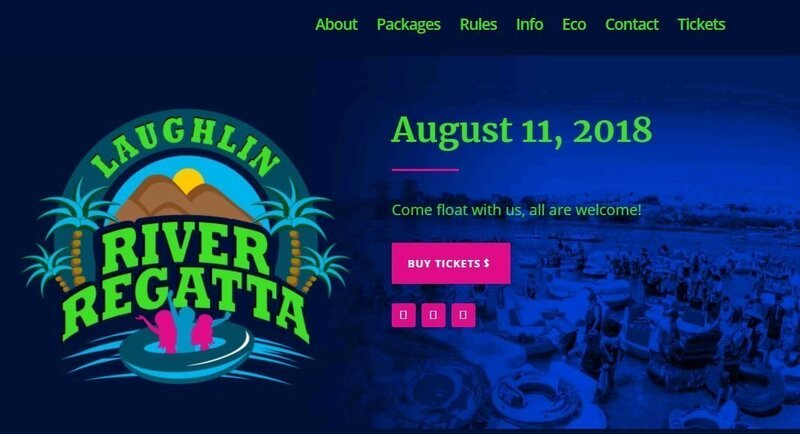 LAUGHLIN—Tickets for the 2018 Laughlin River Regatta are officially on sale, according to their website. However, the cost this year has nearly doubled from previous floats. If you plan to float this year it will cost $70 per person for a pass. Marnell Gaming has also set the ticket limit to 22,000 in an attempt to keep the event smaller than previous years. In 2016, over 33,000 participated in the Bullhead City River Regatta and sparked outrage by local residents, officials with the Fort Mojave Indian Tribe and city officials from Needles after the event left the beaches and river lined with trash. A petition was started immediately after calling on Mayor Tom Brady to halt any further regatta events. Council voted and cancelled the regatta. A $100,000 donation was made by the FMIT to help create an event to offset the lost of the Regatta. But, in 2017, city officials brought the Regatta back in front of the council after Marnell Gaming became interested in taking the event fully—and financially—off the hands of the City of Bullhead City. In an unanimous vote, Marnell Gaming became the new “parents” to the annual river event. Since then several trash clean up days have already been hosted by Marnell Gaming and employees from the Colorado Belle and Edgewater in preparation of the float extravaganza. Just one additional hurdle remains: a permit by the United States Coast Guard to shut down a portion of the river for the float. Marnell Gaming hopes to receive sign off shortly, hence the start of ticket sales early. Their website states that if, for some reason, the Coast Guard denies their permit/wavier and the Regatta is postponed/canceled, Marnell Gaming will charge back a full refund for any ticket(s) purchased. They are also hoping the early ticket sales will show the Coast Guard there is still a large support for the return of the event. Tickets can be purchased at www.laughlinriverregatta.com. Room packages are also available. would love to do the float again, but at that price i guess i’ll just stay home, raising the price works for keeping folks on a fixed income at home..
I’m all the way in and in elated its back. i just need to know what to go to buy tickets and how much they are. Agree on two it is costly but keeping the river clean is just as important. Maybe upping entrance fees to camp Davis on a regular basis can contribute to the cost of the regatta. Many visitors but need to respect the environment we use.